Samsung has confirmed that the Galaxy Note7 will be refurbished and resold, with the process coming in three parts to ensure that the devices are recycled and processed in an environment-friendly manner. As you may recall, in September 2016, Samsung was put in hot water over reports of the Galaxy Note 7 explosions hit the headlines. The debacle was only cleared in late January this year after Samsung officially released a statement explaining why the Galaxy Note 7 devices exploded. 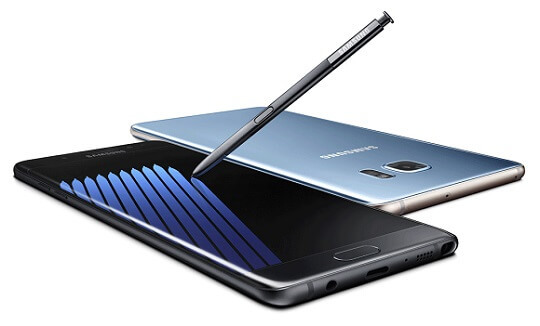 To make up for what has been lost, Samsung plans to make good use of the returned Galaxy Note7 units. They will be used as refurbished phones or rental phones. For this to happen, though, Samsung will have to make an agreement with regulatory authorities and carriers as well as consider the local demand before announcing potential markets and release dates. If the phones can't be resold, salvageable components such as semiconductors and camera modules will be detached for reuse, and it should be performed by companies specializing in such services. Finally, metals such as copper, nickel, gold, and silver will be extracted with the help of eco-friendly companies. In addition, Samsung is planning to be part of the EU's R&D team as part of its commitment to recycling. Also, the company wants to test efforts and develop new environment-friendly processing methods.